“Like many ‘isms’, it seems both to stand for something clearly definable- a major twentieth- century movement in art, architecture, design and literature, even culture- and yet to demand continuous and ever more probing investigation into its history and significance”. On display at the Museum of London is a cocktail cabinet. Entering the gallery “People’s City: London’s Suburbs” I have to admit I did not see the cabinet straight away. Not because it is particularly small or easily overlooked, but the beautiful Ford car standing beside it caught my immediate attention and the furniture piece beside this glorious vehicle did not feel that special. It might be I discarded it because it felt like it’s something I’ve seen many times before. Looking closer, the cabinet and the car are quite alike. Was doing some research on writing styles for the online design magazine “The Observer” when I stumbled upon these amazing illustrations by Bohumil Stepan (check them out here). The collage inspired drawings in all the pictures gives a static element to the illustrations but mysteriously at the same time making them feel very alive. I would like to experiment with this type of image making sometime, I find it super inspiring. My favorite one is definitely the drawing for the story “Painted Lightning” as seen in the picture above. Been immersing myself in the British arts and crafts movement for an exhibition review on the Victoria and Albert museum and getting real tired of looking at leafy, swirly and flowery patterns. 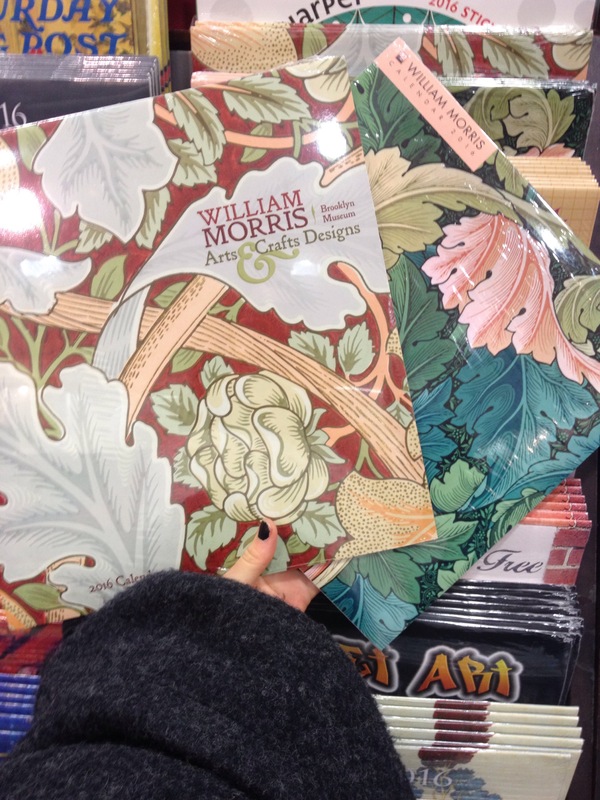 But apparently William Morris’ designs are still going strong..
Calendars found at a bookshop in central London.